Around 20 kiwi permies attended the IPC in India last December, many of them volunteering for the mammoth task of setting up the Convergence site on a farm from scratch for 500 people. The event began with the Conference in Hyderabad at the Agricultural University. About 1200 delegates attended including 350 international participants from 60 countries and 450 local Indian farmers. The event kicked off with a spectacular opening ceremony honouring the seeds where an Indian woman carried seed baskets on her head into the auditorium. 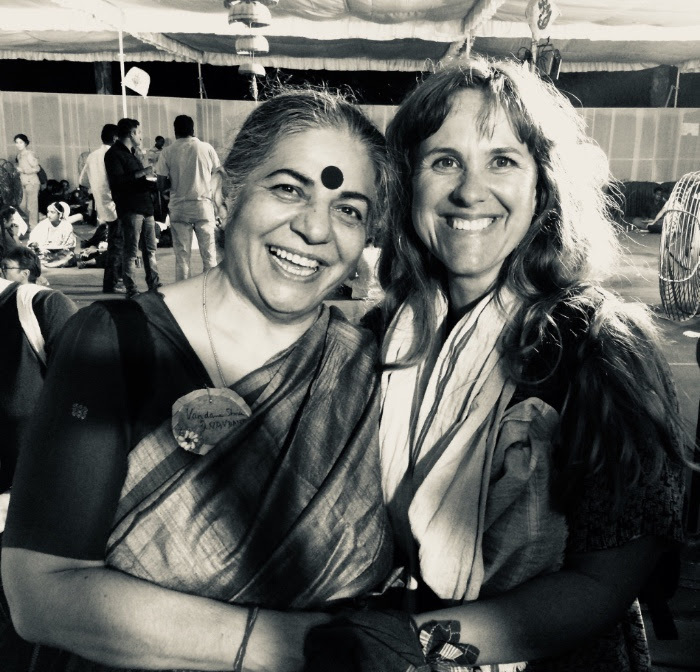 A powerful keynote address from Vandana Shiva set the scene for two days of presentations from 40 speakers. Then it was onto buses for the 500 convergence attendees for the 3 hour drive to Polam Farm. The job done by the team of volunteers to set up the camp was phenomenal. Not only had hundreds of tents been erected, but pit toilets and bucket showers built and vege gardens set up that provided a good proportion of the food for the event. Over the next 5 days permaculture practitioners from around world gathered, met each other, shared knowledge and expertise, and strategized about the future of permaculture. It was an opportunity to exchange, showcase projects, network and innovate, with 80 speakers, 11 panel discussions and 4 Co-lab sessions. At a Skills and Artisans area we could learn all sorts of Indians crafts from spinning, making a knife out of scrap steel, to winnowing seeds, throwing a pottery bowl, cooking a chappati, weaving a flax basket. Every evening there was spectacular cultural programme that included Indian classical dance, musicians and tribal dancers. 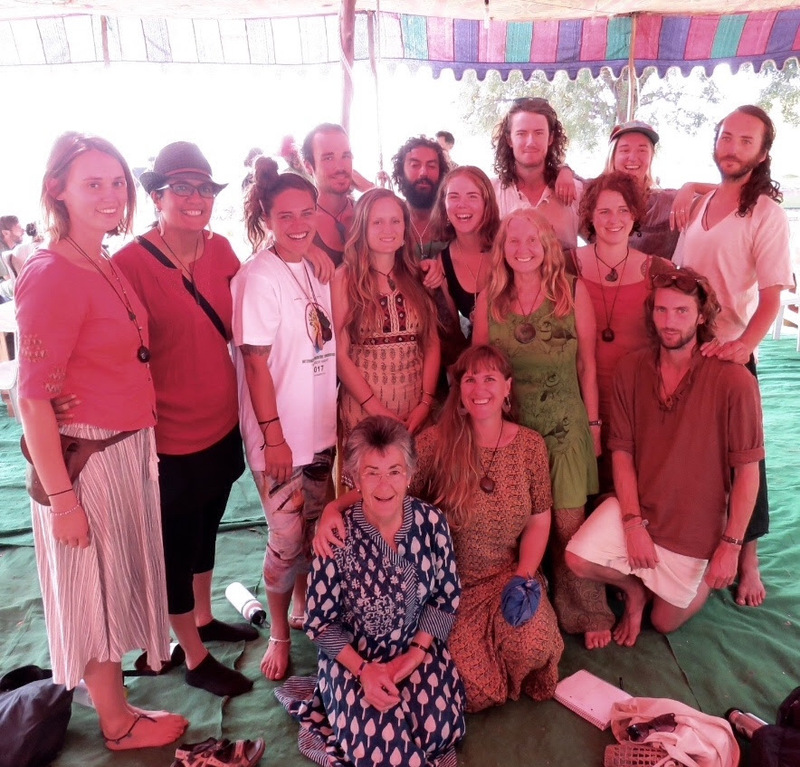 Before and after the IPC there were a full range of edge events: a PDC, Teacher Training Course, Social Permaculture Course and tours of permaculture farms/sites. For me personally it was a deeply enriching experience and I came home knowing just how privileged I am to live in Aotearoa/New Zealand. Some of us who attended will be giving an presentation at the National Hui in May.